Tsu Castle was built by Nobukane, the younger brother of Nobunaga Oda, in 1580. 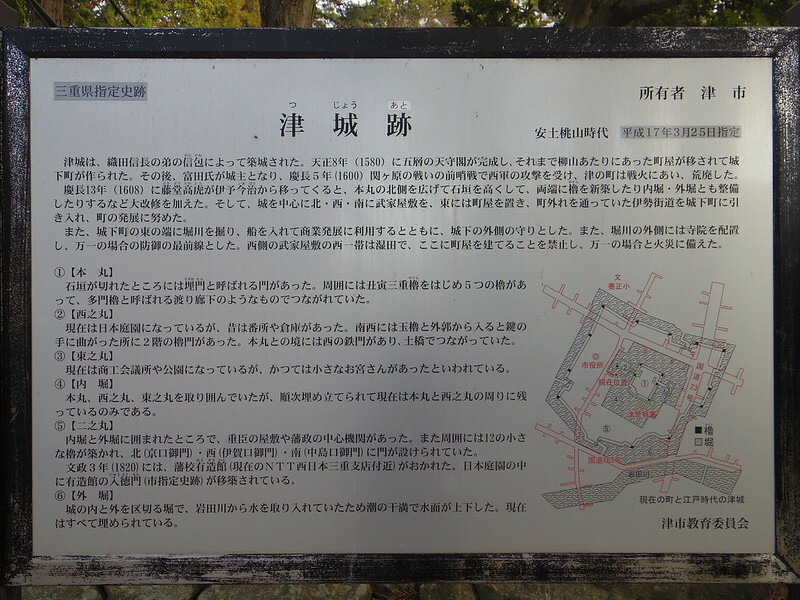 In 1608, Takatora Todo became the lord of this castle. With a 320000 koku stipend, he took residence here. 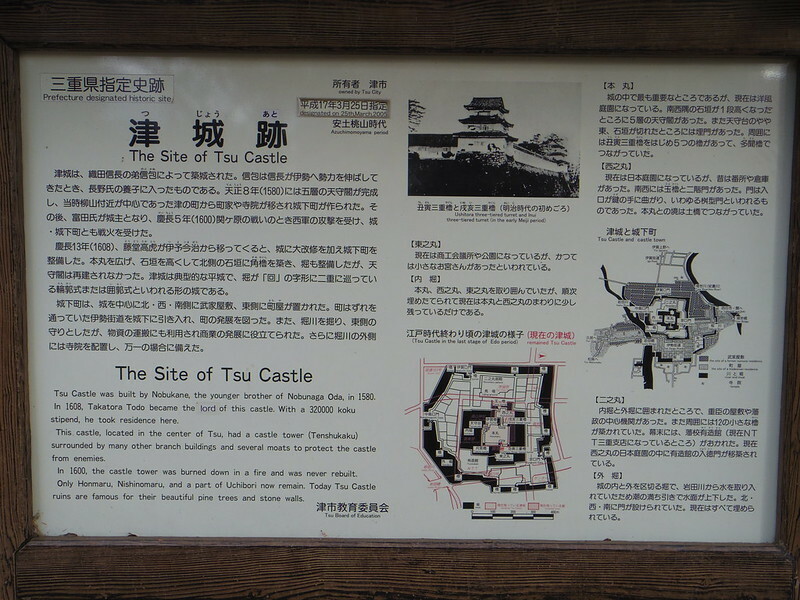 This castle, located in the center of Tsu, had a castle tower (Tenshukaku) surrounded by many other branch buildings and saveral moats to protect the castle from enemies. In 1600, the castle tower was burned down in a fire and was never rebuilt. Only Honmaru, Nishinomaru, and a part of Uchibori now remain. Today Tsu Castle ruins are famous for their beautiful pine trees and stone walls.